I am a long-time fan of animated movies, and in my fanaticism, I tend to watch ALL of the ones that get released. No exceptions!! Two of my favorites of all time are Rio, directed by Carlos Saldana (2011) and Finding Nemo, the Pixar classic from Andrew Stanton (2003). I watch these over and over because they are AWESOME, and the two-year-old in our house loves them. She becomes positively gleeful when they magically appear from our AppleTV library. These movies are great because they are pure cuddly fun for the whole family, quite unlike the 2013 film, Epic, which was merely an assault on the senses. Many animated features are written by adults for adults, making them ineligible for our Kids & Family category because, well, they lose the attention of the younger set. We want more films that the under 5 kids can enjoy! Sequels are due out for both films in the next year or two: Finding Dory and Rio 2. Quite honestly, I’m frightened that the initial charm of the first movies will not carry over into the sequels. So that’s why I’m advocating that you drop everything right now and purchase, rent or download these two original, funny and inspiring films. 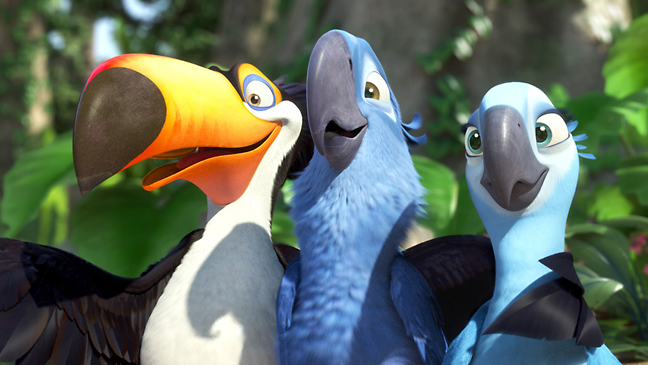 You’ll Love Rio and Finding Nemo, both keeper classics for your film library.